Home > 2015 > 04/17 > Hockey Graphs Podcast Episode 13: Playoff Preview Extravaganza! 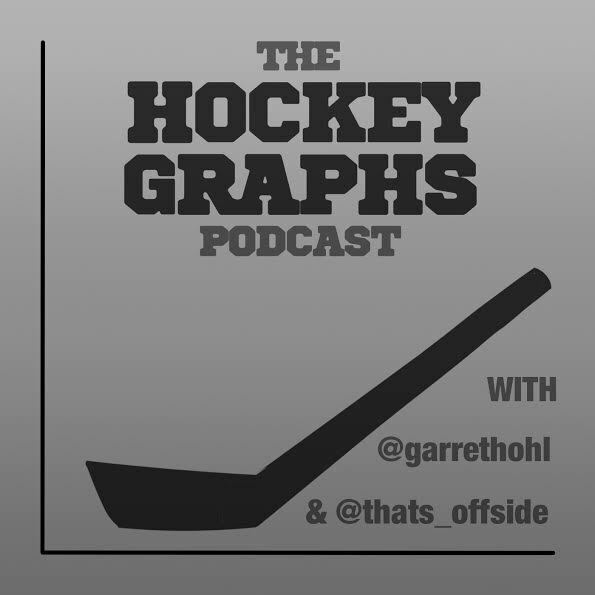 Hockey Graphs Podcast Episode 13: Playoff Preview Extravaganza! Garret battles narcolepsy while Rhys tries to not talk about where every junior player ever played their peewee hockey. And somehow, we even found time to preview every NHL playoff series and share their picks! Click past the jump to see who we think is going to make some noise these playoffs. We should have this episode available on iTunes this weekend, and all future episodes too. Keep an eye out for it! Just rolling through but thought I would say, Go Flames!! “Canucks in 4”. Haha. They’re already wrong! 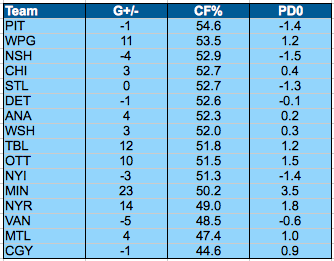 Also, “The Jets (CF% 51.82%) are the best corsi team in the playoffs” when the Blackhawks (CF%: 54.21%) are also in the playoffs… Kinda hilarious. Jets in 7? I’m cheering for them, but I don’t share these two’s optimism. Fair enough. Still, cherry picking small sample sizes generally doesn’t improve your predictive power.